Hi all, I thought perhaps someone here could help me. Way back in the day, 2005 or so, I printed off some fanart I found online that I really liked. Now I'm trying to find them again to add to my folders with proper credit given to the artists, but I've had no luck. I've even scanned both pieces in & tried a google image search, but found nothing. If anyone here recognizes these, can you message me or point me in the right direction? Have you tried asking anyone on Deviantart or Tumblir? 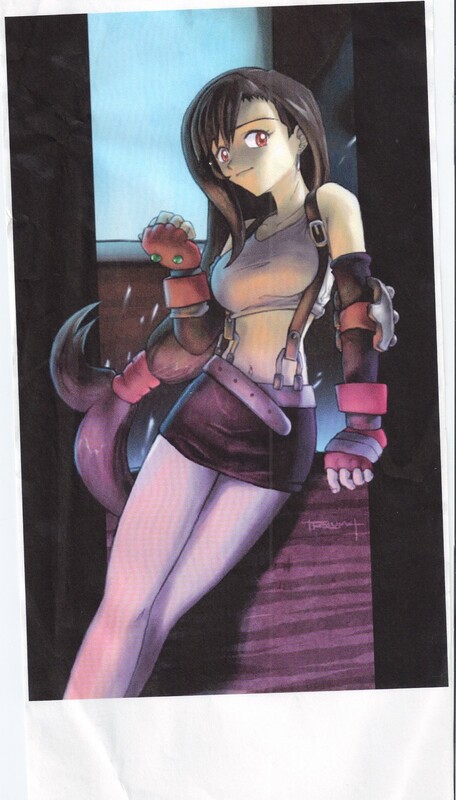 That Tifa drawing looks pretty impressive! My concern is I don't know where to start on DA. Oh gosh ya! I would recommend talking to the staff, but they aren't known to be helpful. The Tifa one has an artists signature on it. You could try googling that? You might want to take Audo's advice. I never thought of that. I am still trying to figure out how to do an image search on Google. Isn't it called reverse search or something like that? I would, but sadly I can't seem to read the signature. And my printout isn't much more legible. Now if you can read the name, I'd appreciate the help. I can't really make it out either; I was hoping the printout would be more readable. I knew it was a long shot, but I figured this was a good place to start. 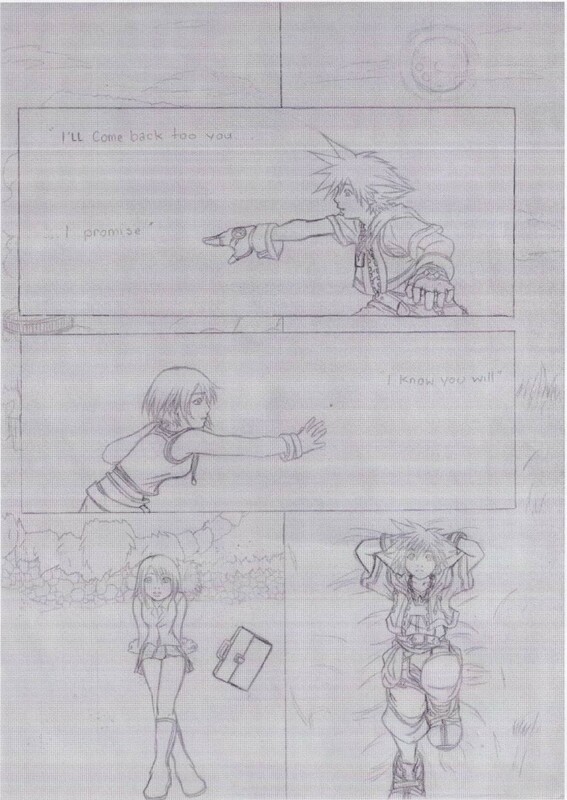 I recall finding these on one of the defunct kh fansites, so it was worth the attempt.